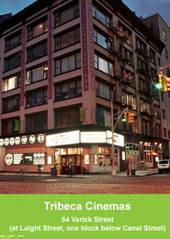 Screenings for the 11 Annual New York Indian Film Festival will be held at Tribeca Cinemas, in lower Manhattan. Tickets for regular screenings are $15 ($12), and $25 ($20) for red carpet screenings. Opening night tickets start at $150 and proceeds benefit the IAAC.